Kamoy Edwards could have easily continued on the path of destruction, as did many of his friends. At age 9, the fatherless Kamoy was already a heavy smoker, had personally witnessed the deaths of people closest to him, and had already been exposed to the gun. 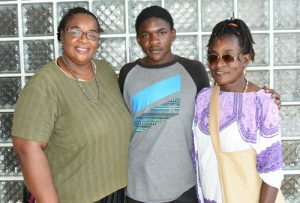 And if the youngster’s face looks familiar, it may be because at some point, while spending most of his days begging on the busy streets of Montego Bay, he may have asked you for a small change. If those struggles weren’t enough, after grappling to fit in at school, at just 14 years old, Kamoy was expelled. 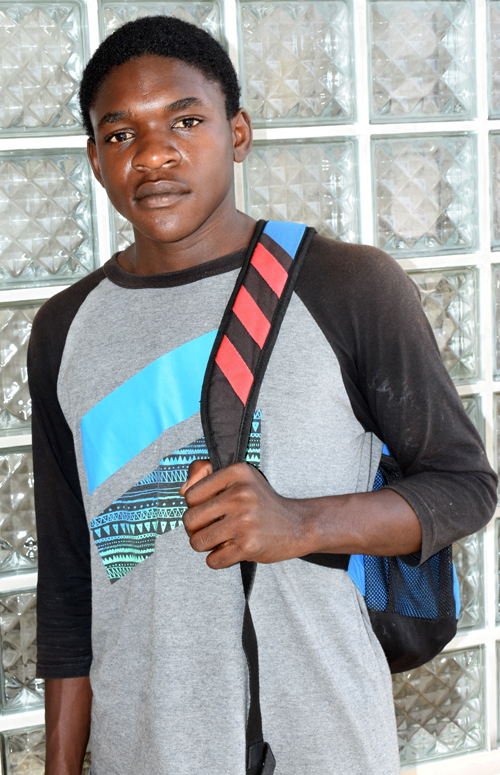 But he believed he was meant for more than his circumstances, and now, at 16, Kamoy is highly functional in the Russian language, has successfully completed his Customer Service City and Guilds exams, amassing eight credits, and is now a first year nursing student at the St. Christopher’s Nursing and Electrical Engineering Academy. Not many would have imagined that a troubled young man from the volatile community of North Gully, who moved to Mt. Salem, would have toppled these odds, but for Kamoy, who found people who unwavering believed in him, success was the only thing that made sense to him. From his words, it was evident that Kamoy was not your average 16-year-old, and he confirmed that when he revealed to the Western Mirror that although he had been exposed to a number of different influences, which could have easily led to his death, his heart was never content in those spaces. “Sir, I know I look tough, and serious, but my heart is soft. Sir,” he says, looking this reporter squarely in the eyes, “I can’t hurt people and feel happy about it,” the youngster admitted. Following his admission, he maintained his shy demeanor, but he quickly opened up when the woman who stopped short of adopting him, Dr. Lola Cunningham, Director of the St. Christopher’s Nursing and Electrical Engineering Academy, spoke of their first encounter. “I’ve never seen a young man cry because he wanted to be in school. When I met him, we talked, as I was trying to assess him, and he told me ‘Miss, mi mother nuh have it; I see people dead every day, mi see guns, bad men, all of that. Mi just don’t know what to do, but I feel like one day God is going to help me, and I just feel like this is it,” Dr. Cunningham explained, adding that she was surprised to hear those words from Kamoy. He was brought to her attention by a man known as Lukey Royal, an artist from the Mt. Salem community, who is also a mentor to Kamoy and many other youths. At the onset, when Dr. Cunningham first asked Kamoy what he wanted to become, she revealed that his innocent response, to her, packed so much promise: “Miss, I just want to be someone great. I want to help people like myself by providing them with jobs.” That response would have been sufficiently moving for the equally soft-hearted Dr. Cunningham, but after learning of Kamoy’s many stories, from his days of being shamed from begging random persons on the streets of Montego Bay, to hiS climbing his neighbour’s breadfruit tree and picking the fruit to boil and eat, even to drinking water as his only ‘meal’ of the day, there was no way she would turn him away. Since then, Dr. Cunningham has had no regrets with her decision on that day. Kamoy started the institution, and has been on the ascendancy ever since. No one can attest to that more than Professor Timothy Miller, one of the lecturers at the Academy, who taught Russian, among other subjects, to Kamoy. Kerr knew her son was different, and it took a scare that he had gone missing to remind her of that. “I remember one morning when I woke up and didn’t see him. I thought he was on the streets begging, so I walked all about MoBay looking for him, and nobody had any idea where he was. I was worried, and when I started crying, I heard a church and I went to it, only to see Kamoy in there, dutty as a bus, waving at me,” Kerr related. She started church that day, because of her son, and the two of them have held on since. “I’m so proud of him,” Kerr shared, looking at her son, who had his sights set on the TV in the office watching a cartoon. For Dr. Cunningham, who foot the cost for Kamoy’s exams, and remains optimistic in his potential, she is committed to helping other youths like Kamoy, but cannot continue to do so without the help of donations. As such, anyone willing to assist in sponsoring the Academy may do so by visiting them at 10 Barnett Street, or contacting them at 876-863-3204 or by email at lolacunningham59@yahoo.com. As for Kamoy, he remains committed to his path, and the world is his for the taking.